We are pleased to send you our quarterly eNewsletter for January - March, 2015 with some information about the latest developments in the debate over Article 9 in Japan, as well as some of the Global Article 9 Campaign recent activities. 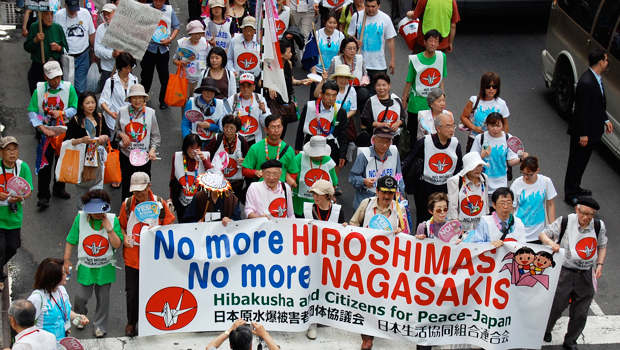 NEWS FROM JAPAN - IS PRO-ACTIVE PACIFISM MAKING JAPAN SAFER? NORTHEAST ASIA - 70TH ANNIVERSARY COMMEMORATIONS: TO PROMOTE PEACE OR INFLAME TENSIONS IN THE REGION? ACTION - ARE YOU READY FOR GDAMS 2015? On January 20, 2015, as Prime Minister Abe Shinzo was traveling in the Middle East, the Islamic State in Syria issued a video of two captured Japanese nationals, freelance journalist Goto Kenji and Yukawa Haruna, and asked the government of Japan $200 million for their release. Both were savagely beheaded a few days later. The tragedy sparked outrage in Japan and put the debate on Japanese security policy in the spotlight. Eluding discussions on how the government could have better handled the situation politically, Prime Minister Abe Shinzo was quick to turn the crisis into a political opportunity. Using the hostage crisis as justification for the new national security legislation he seeks to enact, he attempted exploiting public indignation to push forward his long-held agenda of constitutional revision. Although he did acknowledge that even with new national security legislation in place, no military action could have been undertaken to rescue the two Japanese hostages, Abe nonetheless told the Upper House Budget Committee of the Diet “amending [Article 9 of Japan’s Constitution was needed] to carry out our duty of protecting the lives and assets of Japanese citizens.” He further referred to the draft amendment his Liberal Democratic Party (LDP) had put forward to that end. In a major policy speech in the Diet on February 12, Abe pledged he appealed for the “most drastic reforms since the end of World War II…. (and) deepen public discussion regarding constitutional revision.” This call was reiterated a few days later, during a question time in the Lower House of the Diet. “I want to deepen public discussion about the way the Constitution should be, to match a new era,” he said. “And based on such deepening of discussion, I will firmly and steadily work to revise the Constitution.” “We will contribute to the peace and prosperity of the international community in more proactive ways. And for that we need the SDF to play more roles,” Abe said. The hostage crisis took place at a time when the current administration was planning to push for the revision or enactment of a series of bills to put the July 2014 Cabinet decision on Collective Self-Defense into effect. Indeed, on July 1, 2014, the Abe administration reinterpreted Article 9 of the Constitution to loosen Japan's restraints on the use of force and allow the exercise of the right of collective self-defense. Yet, more than a dozen laws still act as clear legal barriers to constitutional reinterpretation and will need to be amended by parliament to enact the change. The government hopes to submit a set of national security legislation during the current Diet session before it closes by June 24. In parallel, the government plans to revise the guidelines on Japan’s security cooperation with the United States late April. The national security legislation under consideration includes allowing the Self-Defense Forces (SDF) to use force to rescue Japanese nationals overseas, removing geographical limits on the scope of collective self-defense, and enacting a permanent law authorizing deployment of SDF overseas to provide logistic support to foreign militaries - thus going far beyond the administration's rhetoric on self-defense. Discussions between Coalition party Komeito and Prime Minister Abe Shinzo’s dominant Liberal Democratic Party started mid-February and reached a formal agreement on basic frameworks for security legislation on March 20. According to the agreement, the administration will prepare an outline of what to include in the national security legislation by mid-April. Komeito, which has reservations about the shift in security policy, is said to have successfully reined in the scope of the legislation to five major scenarios, including the right to collective self-defense; the rescue of Japanese nationals overseas; support to militaries other than the United States; so called “gray zone” cases; and cooperation in UN peacekeeping activities. However, differences on the substance of the bills remain between the LDP and the traditionally peace-oriented Buddhist party Komeito, notably on wording and conditions for the dispatch of SDF overseas. Unresolved issues include whether prior Diet approval will be mandatory, ensuring consistence with and legitimacy under international law, as well as maintaining civilian control and public support. According to public opinion polls, a majority of the population remains hesitant with the policy shift. 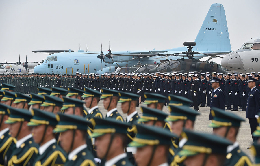 According to a survey conducted by Kyodo on Abe’s effort to pass security legislation during the current Diet session ending in June, 49.8% of the respondents oppose allowing the Self-Defense Forces to play a greater security role overseas, against 38.8% who approved. Likewise 45% of the respondents opposed enabling Japan to use collective self-defense, against 40.6% approving. As many as 78% want to see prior Diet approval for the deployment of the SDF overseas in logistic support of foreign military forces. Another survey by the Asahi Shimbun showed that more than half (52%) of respondents oppose expanding the role of Japan’s Self-Defense Forces overseas, against a third (33%) who support it. The government reinterpretation of Article 9 and the upcoming new security legislation are part of Abe’s doctrine of pro-active pacifism, which seeks to raise Japan’s international clout. By loosening Japan's restraints on the use of force and allowing the exercise of the right of collective self-defense, Abe is changing the perception the people of Japan and the international community have of Japan as a pacific country. The new legislation, by expanding the role Self-Defense Forces play overseas, will further change the appreciation other countries have of Japan. More extensive security cooperation with the United States will put the country, its SDF and its people more at risk. The dramatic hostage crisis only epitomizes these risks. 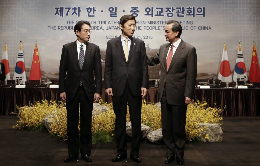 On March 20, foreign ministers of South Korea, China and Japan met for the first time in three years. Annual trilateral talks have been suspended since 2012, due to tensions between Japan and its neighbors over wartime history and territorial issues. South Korea and China see Japan’s reluctance to face up to its wartime past a major impediment to their diplomatic relations. Chinese President Xi Jinping held his first direct talks with Japanese Prime Minister Abe Shinzo last November on the sidelines of the Asia-Pacific Economic Cooperation Forum Summit. South Korea’s President Park Geun-hye has never held official talks with Abe since she came to power. “There is no schedule. We have to create the necessary conditions for that,” Chinese Foreign Minister Wang Yi said, adding China will need to examine what Abe says on the war anniversary this summer. Indeed, this year marks the 70th anniversary of the end of World War II. A series of commemorative events will be held across the region. China will organize a military parade on September 3, and invited the leaders of major countries involved in the war to attend. "The goal (of holding a parade) is to show that China and the people of the world have the capability and determination to defend world peace," Foreign Ministry Spokesman Hua Chunying said, denying it is intended to "flex muscles for anyone." Yet, China declared September 3 as “Victory Day of the Chinese People’s War of Resistance Against Japanese Aggression” and delayed inviting Prime Minister Abe to the ceremony. “In the 70th anniversary year … we think it is important for us to show willingness to tackle common challenges the global community faces in a forward-looking manner,” Chief Cabinet Secretary Yoshihide Suga further commented. For its part, Japan's Prime Minister Abe is planning to issue a statement to mark the end of World War II in August. Abe announced his intention that the document be “future-oriented” so as to highlight Japan’s postwar achievements as a peaceful nation and its intent to contribute more actively to peace in Asia and worldwide. This declaration has generated intense speculation and concern over the wording of that statement, for it may fall short of reiterating the “deep remorse” and “heartfelt apology” for Japan’s colonial rule and wartime aggression made by Abe’s predecessors. Abe’s revisionist attitude towards Japan’s wartime actions has stirred controversy, notably his visits to the Yasukuni Shrine, offensive remarks over “comfort women”, the revision of guidelines for Japan’s history textbooks, his questioning that Japan’s wartime actions should be considered as “aggression”, and earlier calls to revise the Kono and Murayama statements. “I want to show our intentions for the future, such as what contribution Japan will make for the globe and what sort of world it will help to create,” he added. In February, Abe set up a 16-member advisory panel to reflect on what he should say in his planned statement. The panel is expected to issue its report by summer. "There is great concern (overseas) that Japan is diluting its remorse toward the past and is lurching to the right. I worry about that," said Murayama, adding caution that the content of Abe’s statement may lead to “the mistrust of Asia and the world." Indeed, critics warn that omitting words such as “colonial rule and aggression,” “deep remorse” and “heartfelt apology” would exacerbate Japan’s relations with its East Asian neighbors, already marred by historical and territorial issues. China, South Korea and the United States will be watching closely how Japan handles the commemorations. The future of Japan’s relations with its neighbors is at stake. In 2013, global military spending surged to an all-time high of US$1.75 trillion. Given the numerous crises facing the planet – the environment, the economy, epidemics, mass poverty – is this the right priority for the use of public money? We say no: a massive reallocation is needed. This year, the Global Day of Action on Military Spending will be held on Monday, 13 April. Once again, people on all continents will organize collaborative actions in order to reach the public, impact decision-makers, and attract strong media coverage on the cost of military spending and the need for new priorities. Join us! Find an event in your area, or organize your own. And participate in #GDAMS Thunderclap, post, tweet to send out the loudest message to cut military spending and #MoveTheMoney to human needs! For more information and assistance, visit the GDAMS website and contact the GDAMS Team. On January 20, the President of Costa Rica’s Legislative Assembly sent a formal letter to the Nobel Peace Committee to convey the body’s decision to jointly nominate the people of Costa Rica and Japan for the 2015 Prize for upholding their respective peace constitutions. The motion, proposed by lawmaker and former presidential candidate Ottón Solís, was adopted unanimously by the by the legislature on December 2, 2014, as Costa Rica celebrated its 66th anniversary of the abolition of its army. In his letter, the Assembly president develops the rationale for the nomination. The document recalls the objectives set forth by the UN Charter to promote international peace and stability through peaceful means, with the least diversion for armaments of the world's human and economic resources. It further argues that Costa Rica and Japan, and the deeply rooted peaceful sentiments of their people, have served as an example for many countries in the world. Article 12 of the Costa Rican Constitution bans armed forces as a permanent institution and promotes a culture of peace. Article 9 of Japan’s constitution renounces the country’s right to wage war and prohibits the threat or use of force as a means to settle international disputes. 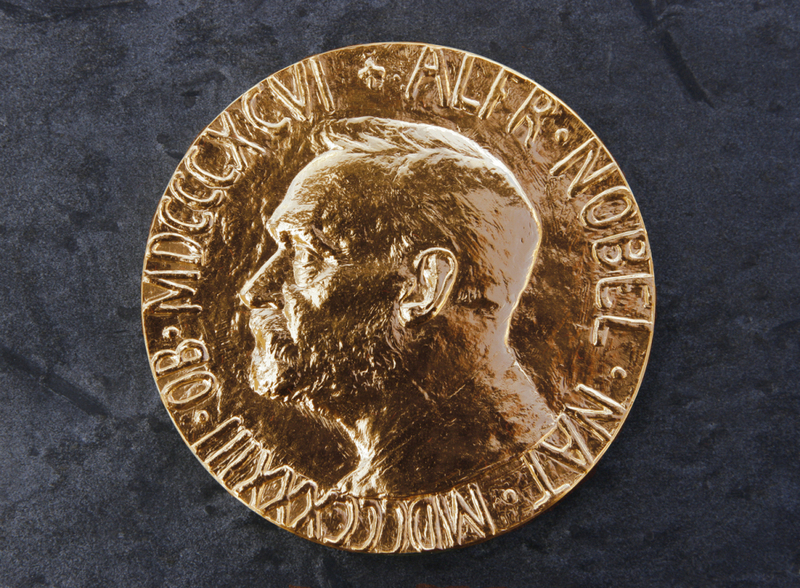 “Awarding the Nobel Peace Prize to the people of Costa Rica and Japan would serve, first, to encourage these people to never eliminate the articles from their constitutions; second, to encourage other countries, poor or rich, tropical or temperate, to abolish their armed forces; and third, send a message to the world about the relevance and endurance of the values of peace and the unequivocal advantages of solving conflicts through international law on the basis of principles of rationality and justice”, states the letter by President of Costa Rica’s Legislative Assembly Henry Mora Jimenez. Last year, a movement of support for the nomination of the Japanese people who conserve Article 9 of the Constitution attracted international attention to the existence of the war-renouncing clause and highlighted the role Article 9 has played as a regional and international peace mechanism. Once again, this year’s nomination comes at a time when Prime Minister Abe Shinzo’s administration is accelerating its efforts to change Japan’s peace clause. Download the letter by the President of the Legislative Assembly of Costa Rica here. From April 27 to May 22, most of the world’s governments will gather at the United Nations in New York for the 2015 Review Conference of the Parties to the Treaty on the Non-Proliferation of Nuclear Weapons (NPT). Since its last review conference in 2010, nuclear disarmament efforts have seen a renewed momentum, notably through the reframing of the debate around the humanitarian impact of nuclear weapons. An increasing number of governments have now joined the call to launch a process to negotiate a new legally-binding instrument to prohibit and eliminate nuclear weapons. While it remains uncertain how this momentum might be translated into the proceedings of the NPT, civil society is mobilized and demands that nuclear weapons be banned. Visit the International Campaign to Abolish Nuclear Weapons (ICAN) website and download ICAN’s Briefing Paper on the NPT Review Conference 2015. Join Peace & Planet’s conference, rally and ‘Global Wave’ of symbolic public actions around the world.